These days, the market is flooded with digestive aids and antacids. This points to the fact that digestive problems are more common than we think. Digestion problems are a subject of much debate among Ayurvedic experts who attribute the widespread nature of digestive problems to bad food combinations. You’ll be surprised to know that even the healthy foods that you have been eating may be causing you gastric trouble. 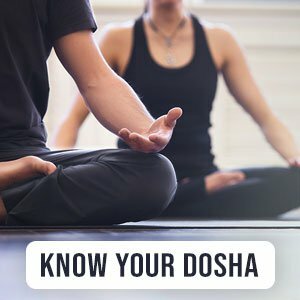 Understand that Ayurveda’s view of determining the correct diet for you is based on your unique body-mind constitution. You can learn more about your own constitution by taking this quiz. This approach is radically different from the modern understanding of a balanced diet. Ayurveda states that every food has its specific taste (rasa), a heating or cooling energy (virya) and an effect on the body after digestion (vipaka). While your individual digestive fire (agni) largely determines your ability of digestion, eating the right food combinations is an important factor as well. This is where we need to understand that when we consume two or more foods with different tastes, energies or post-digestive effects, our digestive fire can become burdened. Poorly digested food then causes us indigestion and other gastric issues. Here is a list of incompatible food combinations to avoid that will ensure you stay healthy. When we consume certain food combinations for a long period of time (say, the cheese and meat as classic breakfast) our bodies adapt to it. Of course, this is not to encourage the practice but someone consuming a wrong combination for the first time is sure to feel its negative after effects. Ayurvedic cooking hacks to balance foods such as adding a cooling herb to very spicy food can bring down some of the heat. Apart from using the right spices and herbs, cooking the opposing foodstuffs in the same vessel (like different vegetables) can get them to learn to be harmonious. Other antidotes like adding a stimulating spice such as cardamom to coffee can help alleviate its negative effects. This is because coffee is a stimulant, but ultimately it causes dehydration in our bodies.